Following the success of our Antiques & Vintage Arcade within the Premium Shopping Experience at the Royal Horticultural Society Malvern Spring Festival in 2018 we are looking for top quality Antiques & Vintage exhibitors to participate this year. Each year the festival has a theme and for 2019 the theme is “Capturing a Moment in Time – Through the Lens”. This can be interpreted as through the camera lens, through the eye lens, or (bringing it into the 21st Century) the social media lens. The hall will be decorated to encompass this theme, and we encourage our exhibitors to embrace it also - this maybe via the inclusion of relevant items for sale or simply decorating their stand. 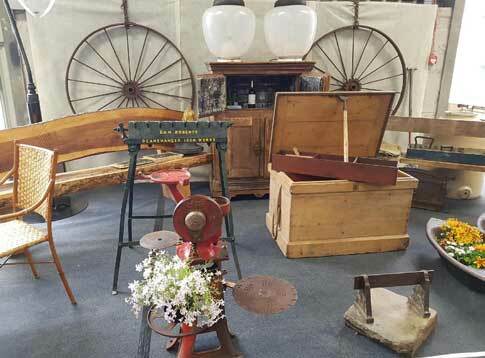 Having an Antiques & Vintage section within an event is not a new idea, however it will only be the second time this has happened at the RHS Malvern Spring Festival. It is a completely different concept in selling to what many exhibitors will be used to and with in excess of 100,000 people visiting over the course of the four day event, the footfall is enormous! Like all RHS events the first open day (Thursday) is Press, VIP’s and Members, with the general public following for the remaining three days. Promotion of the event is through television, radio, national and local magazines and newspaper coverage, as well as via leaflet distribution, RHS Member communications (of which there are around 50,000), social media and other sources. The floor plan is flexible so any width size can be accommodated, providing it is still available. This is a five-day show. Set-up is on Wednesday 8th May with the following four days Thursday 9th through to Sunday 12th as selling days. Set-up from 9:00am on Wednesday 8th May. Stands must be cleared by 5:00pm on Monday 13th May.